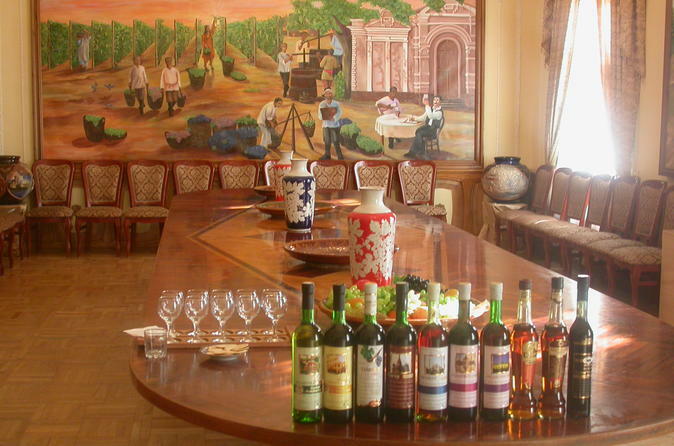 Not only Samarkand is famous for its historical monuments but also its Wine-making traditions. It's wine-making history can be dated back to early 19th century when a Russian pioneer wine maker, Dmitriy Filatov, launched his first wine production in the region. After four years of hard work, "Samarkand Wine of Filatov's Winery" won prestigious recognition from world competitions held in Paris and Antwerp and was awarded with multiple gold and silver medals. Later perfected by Khovrenko, a Russian scientist, who redesigned technics and methods to produce a variety of vintage wines such as Gulyakandoz, Shirin, Kaberne, Aleatiko, Uzbekistan, and Farkhod. Today, Khovrenko Winery also produces two types of cognac: Sherdor and Samarkand, which are very famous through out central Asia.